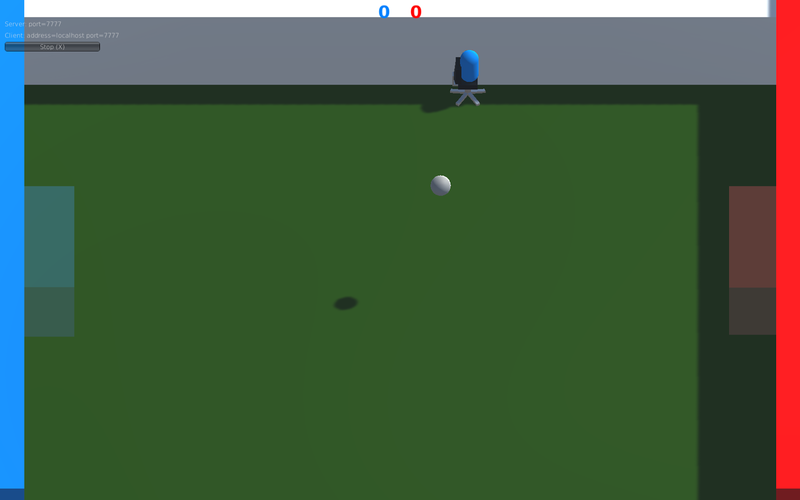 4 Hugues Ross - Blog: Capstone Update 3: Sports Game! The first phase of our development is nearing its close, and now we've started all of our demos. We've got 3 more concepts that we've begun to prototype, and I'll be covering them all in general next week, but today I want to focus on my prototype: Sports Game. Sports game is a very odd concept that I came up with during one of our brainstorming sessions. A question formed in my head, along the lines of "What would Calvinball look like as a video game?" (This, of course, refers to the made-up game that occasionally popped up in Calvin & Hobbes comics) From these roots, the idea formed for an actual game. The general concept of Sports Game is an absurd one: The game starts out like soccer, but every 30 seconds the rules change randomly. This usually means the addition of a new element to the game, such as half the field falling into a pool of bubbling lava, a prisoner being dropped into the field for public execution, time travel, or maybe just hundreds of regulation Sports Balls spewing into the arena. Also, everyone is riding around on office chairs, because at this point, why not make things a little more interesting? 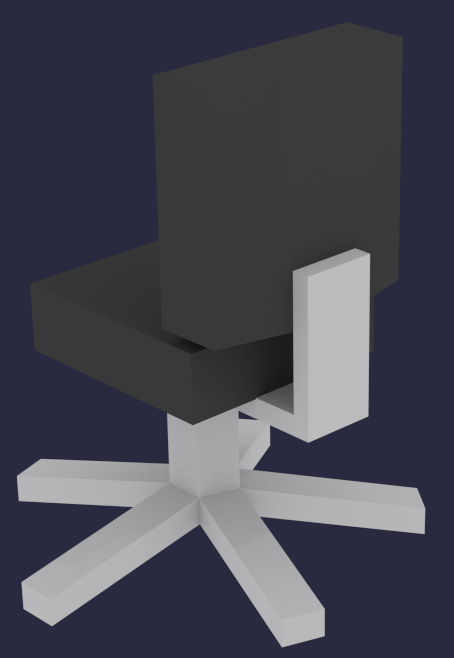 The office chairs actually came from a different game idea. We couldn't find a good way to make it into a proper game, but we really wanted to keep some of the concepts. Sports Game, being built around silly and arbitrary concepts, seemed like the perfect fit. In my vision for the game, Sports Game(or Sports for short) is a huge thing in society, much like sports are in the real world. Stadiums use newer and wackier devices to try and woo the crowds with their rules. The prototype is going well at the moment. I have the most basic mechanics of rolling around and scoring goals working, and now I'm working on the multiplayer and rule-changing elements. It's basic, but I think the simple aesthetic looks good for a game like this. I still want to make some improvements to it, but now isn't really the time for that. Maybe you'll see this again if we go through with this game!